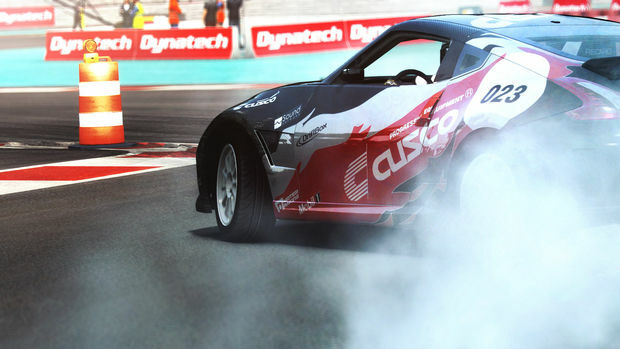 Hot on the heels of last year's GRID 2, Codemasters is coming back with GRID Autosport, a "celebration of pure, unadulterated motorsport." This is going to be less of an arcade racer than GRID 2 ended up being, but without drifting too far into stodgy simulation either. We'll see if the middle ground pleases anyone on June 24. It did please me, though, despite the insurmountable damage I did to all of the cars. I am a much better driver in real life. I don't know a lot about the finer points of racing games. That's Dale's wheelhouse. Har har. But I do know San Francisco, so I had to put the San Francisco street course through its paces. What you have is an admirable representation of downtown -- specifically, the Ferry Building and the Bay Bridge -- that bleeds into a more forced, inaccurate version of Chinatown with race-appropriate wide streets. And San Francisco's endless hills are represented, but they are not as steep as they should be. The result is what Grid Autosport is going for in being "not an arcade racer," but not a "clinical" sim racer, either. The landmark-pocked pastiche of San Francisco is a fun course to race on in a racing game. It's homage without being slavishly realistic. 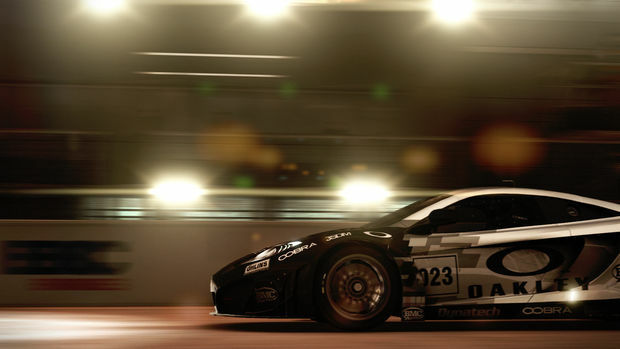 Grid Autosport's menu is minimal, mostly black and white. There are five race styles to partake in. Touring Cars is a battle with aggressive AI on typical racetrack. Street Racing plops you down in places like San Francisco and Washington D.C. Endurance Competitions are long (around 10 minutes) night races where you have to weigh things like tire wear into your play style decisions. Tuner has drifting and time attacks. Open-wheel puts you behind powerful, delicate machines that will see you fishtail if you take corners badly. In career mode, you choose a discipline to race in, which can be changed at the end of each season. You join a team and worry about hitting objectives while your team AI handles things like car upgrades and your racing partner (though you can set their AI in-race). The idea is to race well and get picked up by better teams. If you decide to try (and do well in) all the disciplines, you'll be invited to a lengthy competition that includes them all together. 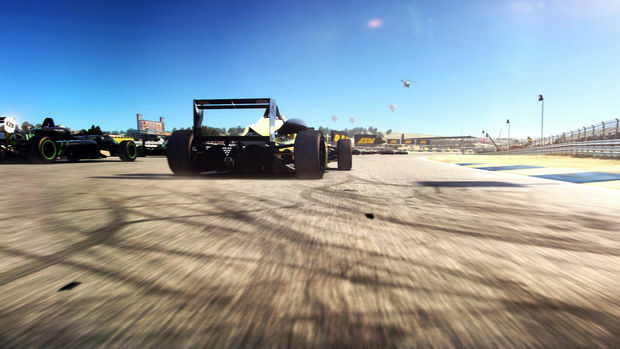 This is a pared down departure from Grid 2, but "without ripping the fun out of the experience." There are difficulty settings (if you are capable of playing at higher difficulty, you get more rewards and can advance through the career faster) and the Flashback rewind button for taking a mulligan on mistakes. If only that was a thing in real life. I had to use it a lot when I played. I kept taking corners just too fast or accidentally barreling into other cars while trying out Touring. I don't think I placed in the top five once. But it didn't feel insurmountable, and I think I would, as someone not well-versed, still enjoy playing and feeling out the finer points of handling and other race strategies. All the jostling was a pain when I was getting knocked about, but when I got a good handle at jostling back, it felt darn good. I'll definitely need more practice at finding the right speeds to take different corners in open-wheel racing. I was fishtailing like crazy. Autosport, which came about from a lot of dedicated fan feedback and collaboration with professional racers, is also doing a lot of community-focused things with Codemasters' RaceNet site. Social clubs are clan equivalents and clubs gain experience from member performance, ranking up collectively, along with custom livery and their own pages to check out the club's collective stats. In online play, your cars earn experience used to unlock tuning options, but they also accumulate wear and tear. The cars you've been racing well with are better, but maintaining a newer car not put through its paces costs less. To go with the 12 player online play, there's also 2 player local splitscreen. Now I'm going to go drive my real car like a real man to a real grocery store to buy some real cookies.